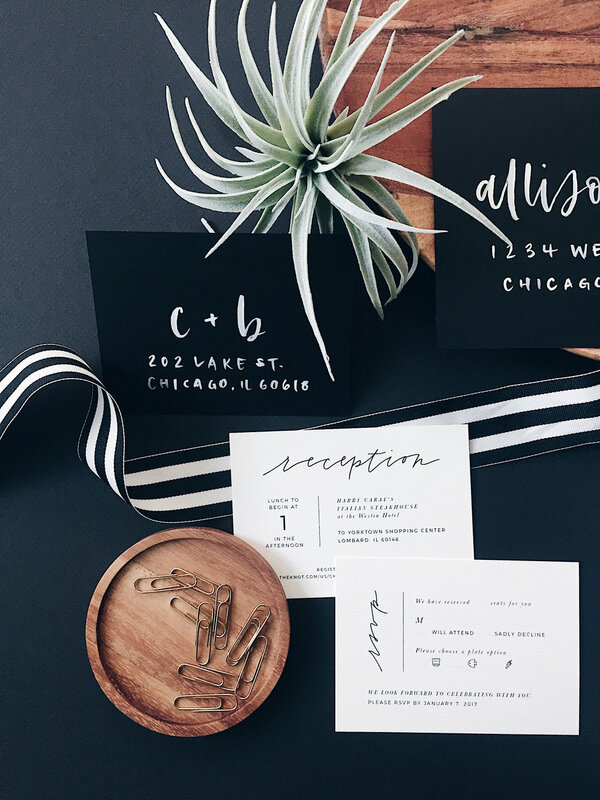 Paper and calligraphy lovers are keeping the post office alive ;) Don't let anyone tell you that the envelopes don't matter, because if you want your stationery to stand out amongst the pile of bills and make an impression, this is the way to do it. 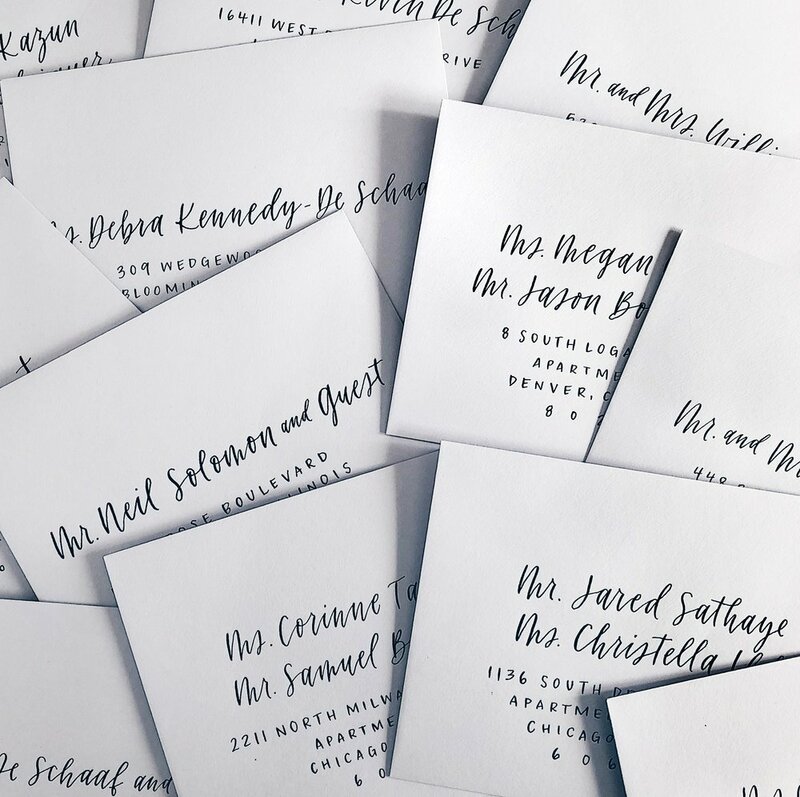 Please use this contact form if you purchased your invitations elsewhere and are wanting envelope calligraphy only! After you fill out the form, I'll get in touch with more information about lettering styles, envelope colors, ink colors and pricing! The process can take anywhere from 2-4 weeks typically, depending on availability. Please contact me as soon as possible to make sure I'm available for your date!